Leto was a Titaness and also the mother of the Olympian twins, Apollo and Artemis, by Zeus. 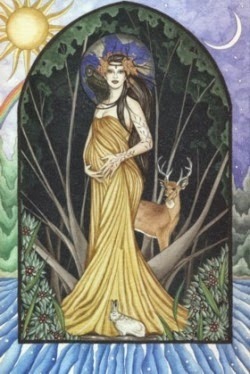 While pregnant with the twins, she was chased around the universe by Zeus's jealous queen, Hera. She eventually found safety and gave birth to her children on the floating island of Delos. After the twins were born, the giant Tityus tried to abduct Leto, but Apollo, in all of his baby Olympian glory, shot the giant full of arrows, killing him. "The stranger's kiss felt like every pleasure possible. 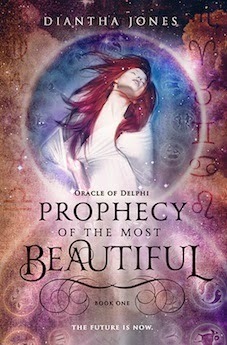 It made her feel beautiful and wanted, the most desired woman in the universe. She felt a flame spark within her, filling her with an overwhelming desire to leap and dance with passion. She wanted to wrap herself around this passionate feeling and never let go." Go baby Apollo! Go! 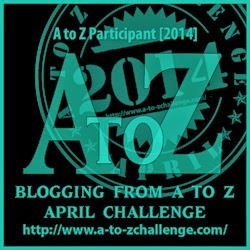 I love this series of myths you're doing for the A to Z challenge.